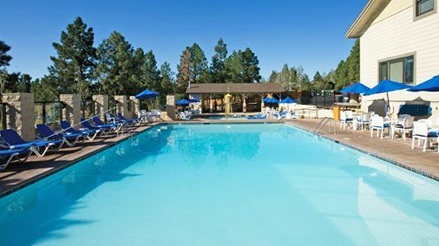 Wyndham Flagstaff in Flagstaff, Arizona NEAR Sedona! - Bid on a 7 Night Stay in a 1 Bedroom Suite! 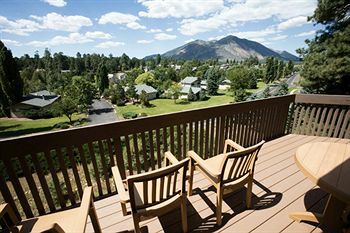 Enjoy 7 Nights at Wyndham Flagstaff in Flagstaff, Arizona! 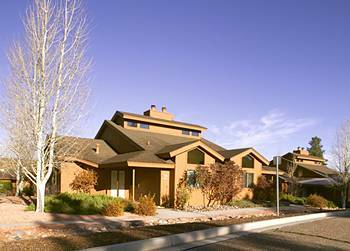 Located on a 2,200 acre estate, Wyndham Flagstaff offers activities for all seasons. 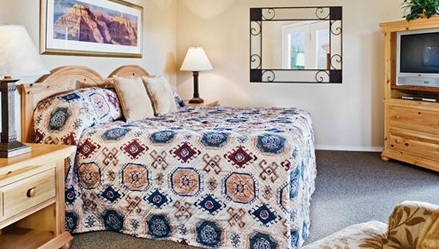 Only 80 miles from the Grand Canyon, the resort is a complete recreational community with an 18-hole golf course, eight tennis courts, an outdoor hot tub and two outdoor pools, and a splash pool for the kids (seasonal). An indoor pool (not affiliated with the resort) is available for a small fee. Resort guests also have access to the fitness center at no additional charge. Downhill skiing (subject to weather conditions) is a short drive away at the Arizona Snow Bowl. A million acres of national forest and historic sites are also abound. Guests stay busy at Wyndham Flagstaff. The resort features an 18-hole golf course, eight tennis courts, an outdoor hot tub, two outdoor pools, and splash pool for the kids (seasonal). 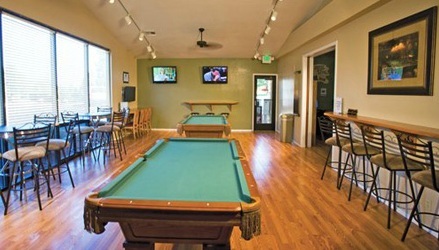 There’s also an ice cream bar, theater, billiards, and a complimentary fitness center. All units offer a private balcony, a phone with a data port, cable television, Wi-Fi access and a washer/dryer. Your 1 BEDROOM SUITE comes with a full kitchen and will accommodate up to 4. The cool climate does not warrant air-conditioning; however, each unit has ceiling fans. A credit card imprint of $100 is required at check-in. Outdoor pools and some other amenities are seasonal. The maid service is available for a fee.